Being a taxi driver can be a great career choice, as it allows you to be your own boss, in an office that has constantly changing scenery, and exposes you to loads of different people every day. You can find out more here about becoming a taxi driver in the UK here. But what are some of the hardest parts of being a cab driver? The vast majority of the time, taxi fares will be polite, courteous, and happy to cough up the cash at the end of the journey. However, there is always the chance that you will end up dealing with a difficult customer, and sometimes it is not easy to know the best way to cope in these situations. We have been brokering taxi insurance policies for many years, and during this time we have heard all sorts of stories from cab drivers about problem fares they have encountered on the job. Below, we have compiled a list of common customer conflicts and advice on how best to deal with them. 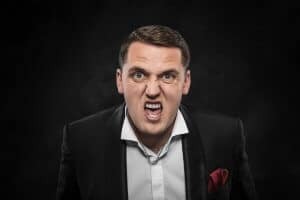 Unless your customer physically attacks you, the worst thing you can do in any situation with a customer is to lose your cool. This will undoubtedly cloud your better judgment and could lead you to do something you will almost instantly regret. Rude, drunken, belligerent customers are not worth trying to argue with. If they keep pushing your buttons to the point where you feel like you’re going to snap, simply pull the cab over and order them out. Or if you feel like this may exacerbate things, you can always take a detour to the nearest police station and order them out there. For some customers, a police station can be a mighty sobering sight indeed! Remember, it is nothing personal. Abusive customers are not picking on you because of who you are as a person, they don’t know you anyway so any rubbish that comes out of their mouths should be water off a ducks back. Staying cool is a great way of making someone see how ridiculous they are being, because you are not reacting to them in the way they want you to. Whilst you might not be telepathic, you can generally pick up somebody’s vibe from their tone and body language. For example, you pick up a fare outside a big office in EC2 at 8.30 pm. You know they have only just left work, are probably under a lot of pressure hence working late, and want to get from A to B as quickly as possible. The last thing a fare like this wants is for you to start making small talk. Be polite when they get in, but otherwise keep conversation to the bare minimum and keep your wits about you. Sometimes, stressed out people can be unpredictable. You do not want to be the straw which breaks the camel’s back. Let’s use another example. Your next fare is a group of very drunk looking men in suits, outside a pub at closing time in Canary Wharf. Drunken fares are common enough, and generally the worst thing likely to happen could be an unscheduled stop to be sick. The most important thing to try and gauge is whether they are ‘happy drunk’ or ‘angry drunk’. Happy drunks will be merry, loud and will probably provide you with a handsome tip at the end of the journey. 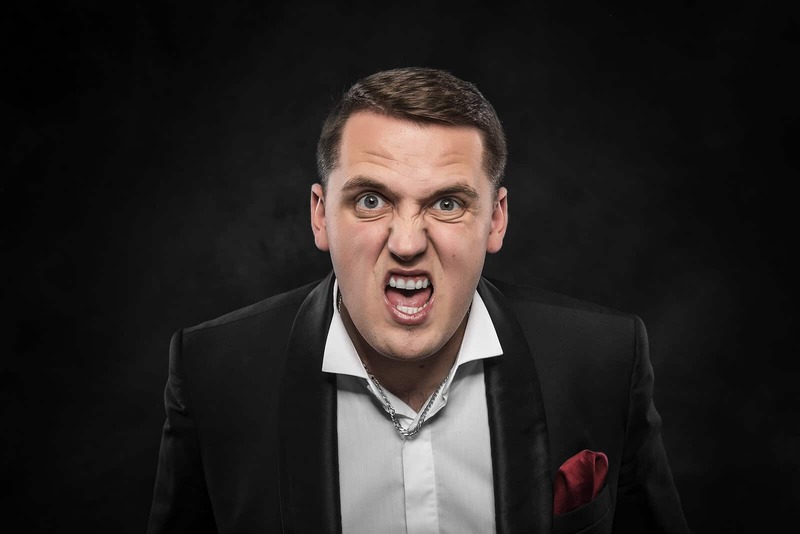 Angry drunks can be rude, condescending and aggressive. You need to ascertain which group they fall into before you even let them in your vehicle. If you do not feel safe, or believe they will become abusive over the course of the journey, you are completely within your rights to refuse to take the fare. In the moment, you might get all sorts of argument from the rejected party, but it is not your problem. At least, you are not obligated to make it your problem. Drive away and stay calm. There will always be a next fare, and it is not worth getting yourself into bother if you can avoid it. Any taxi driver or black cab driver should have a taxi insurance policy in place, which includes cover for damage caused by a customer. However, we also understand that a lot of the time you may not want to go through the rigmarole of claiming back the money from your insurance company as it can affect the price of your premium. Some taxi firms will have a compensation policy in place, which makes life easier for the taxi driver as it means the dispute will be between the firm and the customer. Referring back to the first point, as angry as you may be that someone has damaged your cab, try your hardest to stay calm and professional. Having a notice up in your cab letting customers know that they are liable for any damages they cause sets a precedent. There is no arguing; your cab, your rules. That having been said, sometimes it is also important to remain human. Let’s say you pick up a drunk fare and your instincts tell you that the contents of their stomach are not likely to make it safely home. Do not come across as rude or blunt, but let them know at the start of the journey “if you feel sick, just let me know and I’ll pull over”. As a pre-emptive move, you can also open their window, in case they don’t have time to let you know what is coming! Worst case and somebody is sick (or worse!) in the back of your cab, we would recommend pulling over, asking the passenger to sit on the kerb for a moment, and start cleaning. Yes, it’s disgusting and no, you shouldn’t have to do it, but nobody else is going to and you cannot pick up any more fares if your taxi smells like vomit. Or if you prefer, you can refuse to continue the journey with the passenger, but we still recommend you actively remove the mess, to prevent staining and the smell setting in. Ultimately, if the situation continues to escalate, you are perfectly within your rights to get the police involved. Sometimes, this can be the only way to effectively defuse tension and prevent things from spiralling out of control. Most of the time, disagreements start due to a dispute over payment. Before going any further, remember that your safety should be your number one priority. Getting into a fight, or being attacked over a £30 fare simply is not worth it. Rather keep calm and walk away, as an incident could lead to a legal case, regardless of fault. There will always be another fare. Unless the customer has paid for the journey up front, or the fare has been decided in advance, it is sensible to give them a rough estimate before the journey begins. They may think their journey is only £10 away, when in reality it is closer to £40, but it is much better to get this sorted out before the journey starts rather than at the end. You may have a gut instinct that your customer is looking to pull a fast one. In this case, one subtle technique is to get out and open the door for them when you stop. It comes across as stellar service, but it also puts you between them and running away. Fleeing a taxi is far easier when the driver is stuck in the driving seat, rather than standing in the street next to you. This tactic would definitely put off your average chancer, who will feel a lot less brave when you’re holding the door open for them. If trouble is looming, calmly let them know you will call the police if they don’t pay. The reality of getting arrested will act as a strong deterrent, and can be quite the sobering thought. However, if things are getting really heated the best thing to do is remove yourself and your cab from the situation, drive to somewhere safe and then call the police. They are surprisingly tough on these sorts of offences, which is reassuring for taxi drivers who are often self-employed and have nobody else to turn to for help. This is more as a precaution than a necessity. CCTV is a great way for the driver to cover themselves in case an incident does occur, and the footage can be presented as evidence to the police or the courts to back up the drivers’ claims. 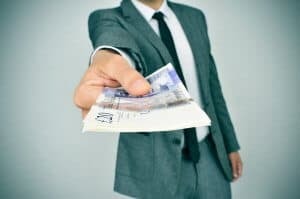 It is a somewhat fool proof way of establishing liability, and rather than it being your word against your customer’s, you now have evidence of exactly how the situation really unfolded. Your taxi insurance broker may even reduce your premium if you have CCTV and/or a dash cam installed, as it is so easy to prove fault if an incident is caught on camera.